Footage has emerged of ​Everton and England goalkeeper Jordan Pickford fighting outside a bar, thought to be in Sunderland, this weekend. The footage came to light via Twitter, and appears to show the 25-year-old in the middle of a fracas which spills outside the bar. It begins with security calmly talking to the keeper, and after taunts of 'butter fingers' are seemingly directed towards Pickford, it escalates into a nasty looking brawl. Though unconfirmed, Times correspondent Paul Joyce ​reports that Everton will investigate the incident, but it is unclear as yet what sort of punishment, if any, he will face. Everton to investigate alleged incident involving goalkeeper Jordan Pickford on Sunday night. Pickford involved in fracas while back in Sunderland. 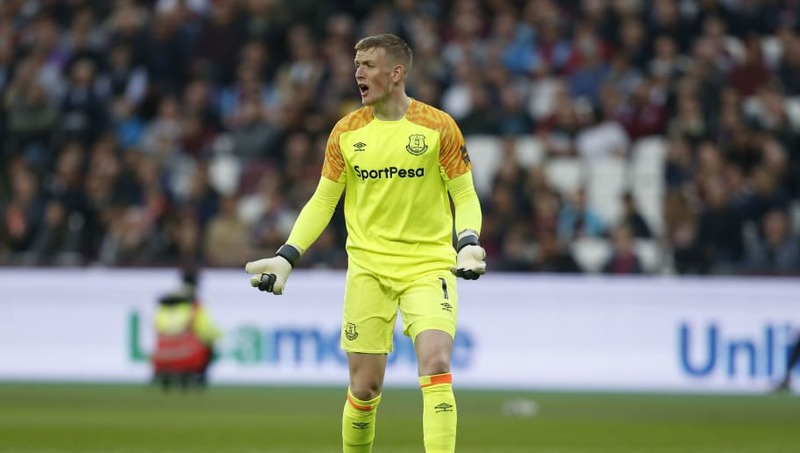 The incident is reported to have taken place in Pickford's home city of Sunderland, just one day after he travelled to London to face West Ham with his ​Everton team-mates. The Toffees recorded a comfortable 2-0 victory, with first half goals from Kurt Zouma and Bernard enough to see off their hosts and leapfrog the Irons into 9th place. Pickford also featured in both of England's victories over the Czech Republic and Montenegro over the international break.